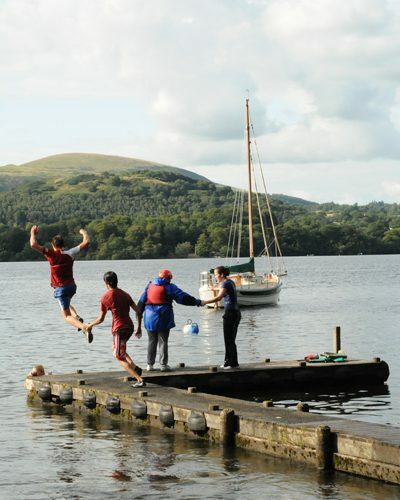 This outdoor education centre is located in a secluded and sheltered bay on the shores of Ullswater. 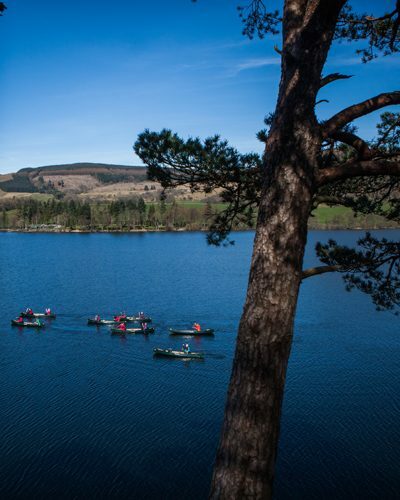 The newest of our Outward Bound Trust residential centres, it is ideally situated for adventures on the lake and surrounding mountains and is used exclusively by our education clients. Participants: Accommodates 72 participants in bunk rooms of 4-6. All rooms have a toilet and a shower. Group Leaders: Separate accommodation in single or twin rooms, some with en-suite facilities and staff lounge. 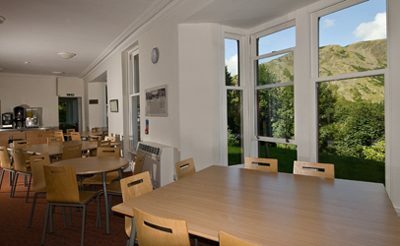 Centre Facilities: Review rooms, common room, dining room, telephone and juice bar. For an insight in to centre life and to help answer questions regarding bedrooms, food and what to do around the centre, view the video below. 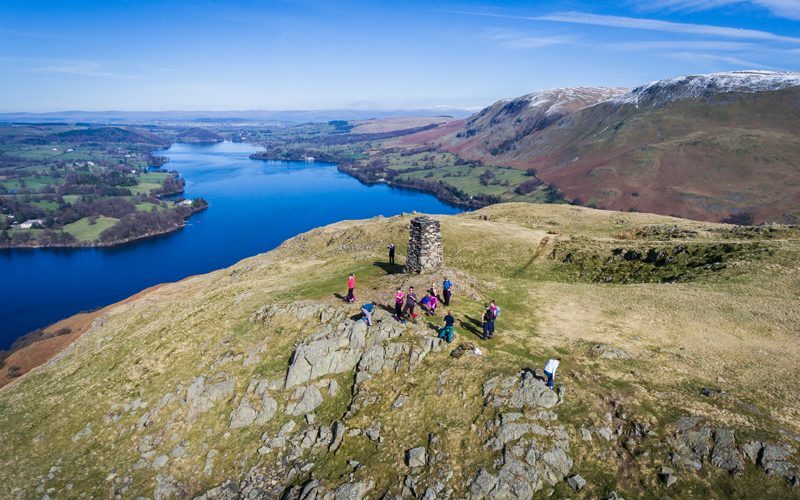 Take junction 40 off the M6 and follow the signs for the A66 and Keswick. After approximately 1 mile you will reach a roundabout. At this roundabout take the turn off for the A592 and continue on this road until you reach the junction with the B5320. Turn left onto the B5320 (Pooley Bridge), go over the bridge and through the village until you get to a mini roundabout. At the roundabout turn right and at the next crossroads turn right and follow the road for approximately 3 miles. We are situated on the left-hand side. 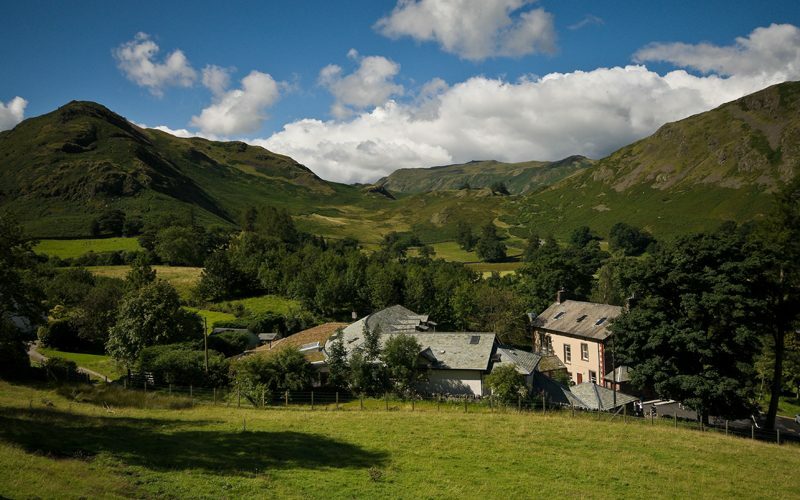 Take junction 40 off the M6 and follow the signs for the A66 and Keswick. After approximately 1 mile you will reach a roundabout. At this roundabout take the turn off for the A592 and continue on this road until you reach the junction with the B5320. Turn left onto the B5320 (Pooley Bridge), go over the bridge and through the village until you get to a mini roundabout. At the roundabout turn right and at the next crossroads turn right and follow the road for approximately 3 miles. We are situated on the left-hand sideFollow the A66 westbound until you reach the M6 [junction 40]. Go over the M6 motorway following signs for the A66 and Keswick. After approximately 1 mile you will reach a roundabout. At this roundabout take the turn-off for the A592 and continue on this road until you reach the junction with the B5320. Turn left onto the B5320 [Pooley Bridge], go over the bridge and through the village until you get to a mini roundabout. At the roundabout turn right and at the next cross roads turn right and follow the road for approximately 3 miles. We are situated on the left-hand side. There are many ways you can support us either as a corporate supporter, individual donor or taking part in our fundraising events. 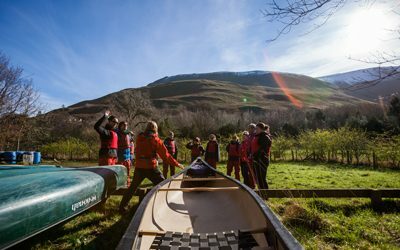 Each Outward Bound course is unique and gives young people the skills to become more confident and more capable at school, college and the workplace.